Blackout Merch, LLC v. John Does 1-5 et al. (17-cv-11799). Judge Zobel is presiding over another pre-emptive concert merchandise case, this one involving the performer Katy Perry. Blackout Merch claims the exclusive right to utilize Ms. Perry’s registered trademarks in connection with concert merchandise in North America, and seeks to prevent the sale of infringing merchandise at or around Boston’s TD Garden when Ms. Perry performs there on the 29th and 30th of September. Author dmassiplitigationPosted on September 21, 2017 September 21, 2017 Categories Complaint, TrademarkTags bootleg1 Comment on Blackout Merch, LLC v. John Does 1-5 et al. (17-cv-11799). Trust Safe Pay, LLC v. Dynamic Diet, LLC (17-cv-10166). Magistrate Judge Kelley granted defendants’ motion to dismiss the copyright infringement claims, citing the failure of the plaintiff to allege it held any validly registered copyrights and failure to identify any specific content that was alleged to be both original and copied. Trust Safe accuses its former employees of taking a confidential algorithm and using it to create a competing business, of copying Trust Safe’s website, and of tracking the website and changing its own in exactly the same way as Trust Safe’s site. 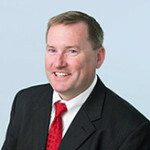 Applying the Twombly standard, Judge Kelley noted that the complaint asserts that Trust Safe is the assignee of three copyright registrations, but fails to allege that the applications, together with the deposit and fees, had been sent to the Copyright Office, which is required when relying on preregistration of a copyright. She also found the failure to specify similarities between Trust Safe’s site and that the Defendant “frustrate[s] any effort to compare the parties’ materials” and thus fails to show copying. Judge Kelley also dismissed the state statutory and common law trade secret counts for failure to adequately identify the trade secrets at issue – the recitation of an “algorithm,” without specifying what the algorithm was or what it did, was not sufficient. Intentional fraud and M.G.L. 93A claims that depended on the trade secret misappropriation claim were also dismissed. Because all of the claims were deemed plausible, albeit inadequately pled, all of the dismissals were without prejudice. The case was before the Magistrate pursuant to 28 U.S.C. 636(c) and with the consent of the parties. Author dmassiplitigationPosted on September 12, 2017 September 22, 2017 Categories Copyright, Motion to Dismiss, Pleading StandardLeave a comment on Trust Safe Pay, LLC v. Dynamic Diet, LLC (17-cv-10166). In a lengthy electronic order, Judge Stearns partially granted defendant’s motion to dismiss plaintiff’s copyright infringement claim relating to accounting software. Baystate alleged that Saasant’s competing software misappropriated the look, feel, layout and flow of its own product and associated blog, and that Saasant was using a Baystate trademark. Judge Stearns found that Baystate’s complaint did not identify any actual copying of protectable elements of the software, because Baystate’s software simply employs standard layouts that represent unprotected ideas or unoriginal expression. To the extent Baystate alleged copying of the specific elements of the layouts, the two programs were not similar enough to suggest copying. Judge Stearns denied the motion to dismiss the trademark, unfair competition, and false endorsement/false association claims.